Made in a 50/50 PG VG mixture for maximum flavor in mouth to lung devices. Available in 30mg and 50mg strength levels. Blue Razz Lemonade - A refreshing blueberry raspberry lemonade that will tantalize your taste buds. 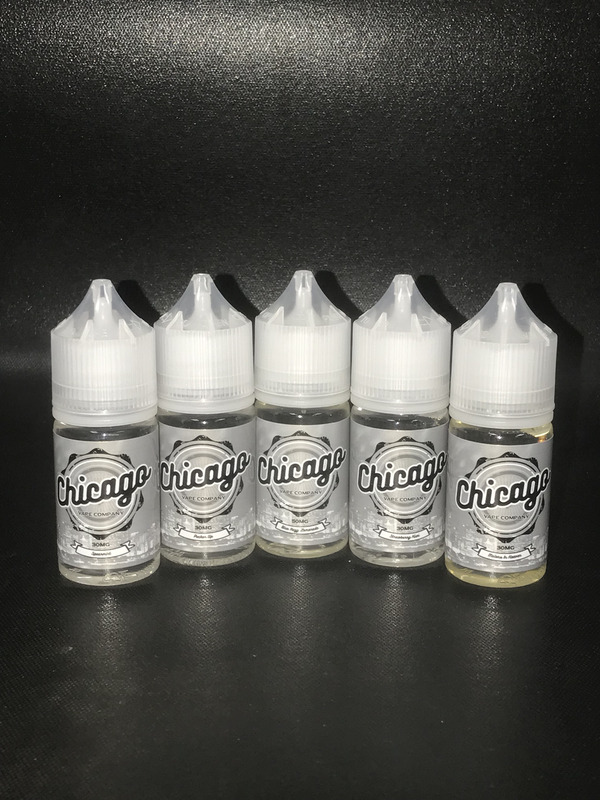 Grape Chill - Bringing back memories of Little League and Hubba Bubba bubblegum, our Grape Chill is the best grape bubblegum vape you will find and to make it even better we added just a touch of menthol to give you a slight icy hit. Spearmint - Cool and refreshing the way you expect it to be. Pucker Up - If you like Sour Heads candy, then our PUCKER UP is the candy vape that you have been looking for. Just sour enough to make you think that you are vaping a hard candy. Melons in Heaven - Mango, Cantaloupe and Papaya gives you the melon explosion your taste buds have been looking for. Strawberry Kiwi - We wouldn't be a juice company if we didn't offer a strawberry kiwi flavor, right? Fresh strawberries and ripe kiwi's make this a perfect all day fruit vape.